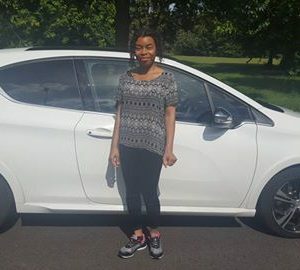 “"My previous driving instructor was unreliable and other instructors had a short fuse and some even tried to knock my confidence in order to build it back up again; through a lengthy process. I soon discovered that some instructors used this strategy in order to get more money out of me. One of the main factors was finding a driving a new driving instructor that didn’t shout over every little mistake. One of the things that Matt said was, “don’t ever feel that a question is too stupid”. This was a relief for me because previous driving instructors appeared to get annoyed if I asked them the same question more than once. I needed a driving instructor that I could feel comfortable with and at Go2 Driving School Matt was very calm and relaxed. Even if you find yourself panicking, he always remains calm and you don’t need to worry about making big mistakes because even before you realized you was about to make the mistake Matt has already picked it up which is good because you will never be in any danger. Always ask yourself questions about the driving school you are considering. For example, if a driving instructor or school is offering cheap driving lessons ask yourself why. If a driving school has a very high ratio of pupils per instructor ask yourself if the quality of teaching is going to be tailored to you as an individual. You also, need to bear in mind that some instructors will claim that they have been in the industry for a long time and that they have years of experience but, this doesn’t always mean that they are any good. The best way to see if a driving instructor is for you is to have a trial lesson. Go2 driving school offers a money back guarantee which puts your mind at rest. I thought that I was unteachable as I had, had so many driving lessons with so many driving instructors (six to be exact). I thought that it would take me ages to adapt to another driving instructor, but this wasn’t the case, Matt adapts lessons to suit you. Matt also lets you use your initiative, which is a really good because I found myself becoming very reliant on other driving instructors and when it came to my test I felt lost because I wasn’t allowed to use my own instincts and became very comfortable with being told what to do. How do you find your instructor's teaching methods compared to previous driving schools? Sometimes with other instructors I found myself getting really confused when I was bombarded with loads of information, but when Matt needs to tell you something he will tell you one thing at a time or wait until you have stopped in a safe and convenient place and then he will explain what you have done wrong. First Matt diagnosis the problem, then he tells you how to fix the problem; during this process Matt will include lots of knowledgeable information, then he will show you how to fix the problem using a variety of different techniques such as demonstrations, diagrams, instructions and explanations. Matt uses a wide range of teaching methods to suit you and if you are not comfortable with one method he will try another until you fully understand what to do. I would definitely recommend Matt of Go2 Driving School as he is very professional and pays a lot of attention to detail, the atmosphere is relaxed, which is crucial for a successful learning process. Matt tailors his service to you as an individual giving you many options to choose from, creating a bespoke service. At the beginning of every lesson you will have a recap on what you did in the previous lesson and on what you will be doing in your current lesson. At the end of the lesson you will have a plan of action, this includes a discussion of your strengths, the things that you need to improve on and targets for the next lesson. Matt is the best out of all six driving instructors I have had! This is what I call a real driving school, it’s not just any old driving school, but it’s a school that teaches you how to drive safely, it’s a school that gives you up to date knowledge and it’s a driving school you can trust. I hope that Go2 Driving School becomes very successful as Matt puts in a lot of effort! I would definitely nominate Go2 Driving School as the best driving school in Derby. 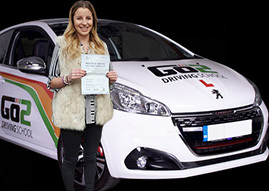 Click here to learn more about driving lessons with Go2 Driving School Derby, with a 100% money back guarantee. Call 01332 492 302 or buy driving lessons online.